I got my steps in this weekend by sprinting after a naked toddler, who was running laps around our house while cupping her bottom with her tiny hand. Thanks, potty training! Boy, teaching a human to put his/her excrement in a mini loo is all sorts of something, but we did it (well, we’re doing it…). If you draw an EKG mixed with clockwise and counter-clockwise cycles, and you have a good picture of my mental state. Anyway, thanks to Lucie’s List (seriously the best pregnancy/parenting site EVER), I learned about “Oh Crap! Potty Training ,” which is now my pee and poo bible. I clung to this paperback like flotsam in a very rocky sea, and I will tell you right now, Jamie Glowacki is the guru of sh*t.
I followed her instructions, took solace in her empathetic guidance, and we rocked the potty training. I am so proud of my kid. We had some dark moments this weekend, but by the end of day two, I could see the light at the end of the tunnel and trust that it wasn’t an oncoming choo choo. When I dropped her off at school this morning, I walked into class singing “guess who’s potty trained? !” and her teachers just stared at me in amazement and slack-jawed disbelief (although, in fairness, one of them said she knew the little one would take to the potty easily). I mean, look – we have a long road ahead of us; I know this. We’re not done. I’m not counting my chickens before they hatch, and I will be at peace if my toddler comes home today in the fifth of five outfits I packed for her*. But for anyone out there struggling with potty training, or dreading going through this, do yourself a massive favor and get this book . You, your toddler, and everyone in your life can thank me later. *Update – she had ONE accident her first day back at school. ONE. And it was the #2 kind. Poop is still scary, but man, I am so excited for this new chapter! I make absolutely no promises regarding posting frequency, but I would love to share the occasional update. A lot (a lot a lot a lot) has changed in the past few years, but one thing remains: my devotion to and obsession with reading. I now share this passion and nightly ritual with the most brilliant and hilarious toddler. We snuggle up each evening and select a few books to read together, and she takes my breath away as she grows and learns. Unsurprisingly, I have strong opinions about children’s books, so we only read the good stuff. I figured this site was a good avenue for sharing our favorite finds! To start, I’m sharing the current most-loved book: The Adventures of Beekle: The Unimaginary Friend. The story is so sweet (about an imaginary being’s quest to find his friend). There’s a lot going on on each page, so we both find something new at every reading. We’re also learning new words, like “panda” and “octopus.” Really, this is a home run if you’re looking for a great gift, or if you’re just WORN THE HECK OUT from all the other books in rotation. My husband woke up about an hour before I did yesterday to get a jump on yard work so that I could be helpful whenever I made my way out of bed. So I felt especially badly that after only about :30 minutes of me picking up leaves yesterday, he found me plopped on my back in the front yard whilst he continued to vigorously rake and rake and rake (and rake, and rake). I now know why he curses at the acorns or leaves when they just fall with reckless abandon after he works for hours in the yard. That sh*t is annoying. After lunch, with all the piles of leaves now safely in bags, he was scrounging for ways I could help while staying out of the way, so he set me up to use the leaf blower (those dang leaves…) to clear off the drive and walkway. I’ve never used one of these before, and it is trickier than you might think, particularly if it’s windy, and doubly so if your next door neighbors are outside, watching you. I tried really hard not to blow the leaves into the neighbor’s yard, but there was really no helping it for this novice. I have no doubt that I looked rather dumb, or inconsiderate, or both, so I finally just gave up, figuring the wind would blow the leaves wherever in any case. I did, however, very much enjoy watching the leaves rocket away from my feet; it made me feel like I was an X-Man with wind superpowers, just willing away debris in my path. That part was awesome. And totally nerdy. At a most appropriate time, my mother gave me a copy of Gift from the Sea, a must-read for all women (in my humble opinion). I recently returned the book as a temporarily loan to Mom; I felt that the timing was right. As I handed over the book, I noticed that while reading it a few years back, I dog-eared a number of pages for safe-keeping, and I opened it to the below. At this moment of my life during which I mightily struggle more than ever before to balance all that is urgently pressing and dear: love and the future that is rapidly approaching, family, work, friends… it was almost as if the spirit of Ms. Lindbergh were politely coughing and pointing from the great beyond to her words of wisdom. I share this passage here with you and hope you pick up your own copy. Is this then what happens to woman? She wants perpetually to spill herself away. All her instinct as a woman, the eternal nourisher of children, of men, of society, demands that she give. Her time, her energy, her creativeness drain out into these channels if there is any change, any leak. Traditionally we are taught, and instinctively we long, to give where it is needed, and immediately. Eternally, woman spills herself away in driblets to the thirsty, seldom being allowed the time, the quiet, the peace, to let the pitcher fill up to the brim. Purposeful giving is not as apt to deplete ones resources; it belongs to that natural order of giving that seems to renew itself even in the act of depletion. The more one gives, the more one has to give, like milk in the breast. If it is womans function to give, she must be replenished too. But how? 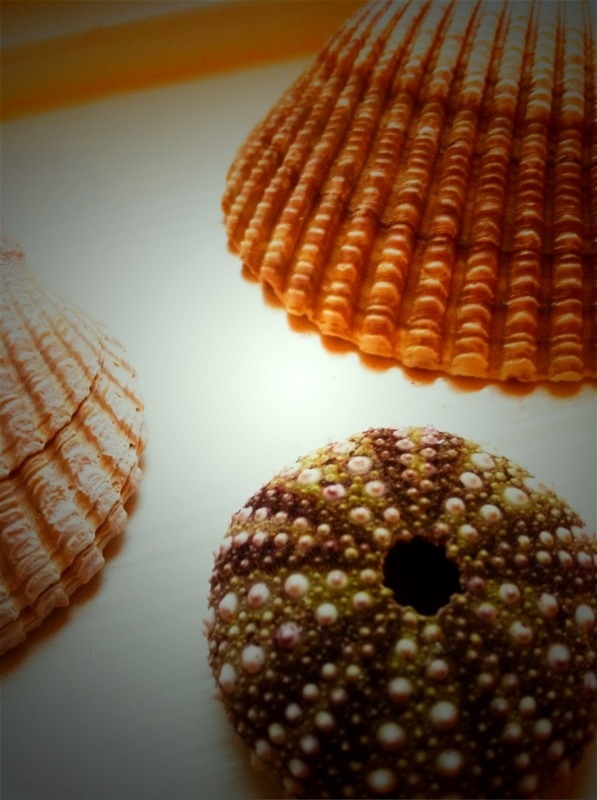 Solitude, says the moon shell. Every person, especially every woman, should be alone sometime during the year, some part of each week, and each day. News that my flight from LAX to DFW was canceled last Monday meant momentary aggravation followed by the realization that I was going to need another book. I was wrapping up reading Ape House (the second book by the author of Water for Elephants; I recommend you check it out) and figured for my sanity’s sake that I needed back-up for a potentially grueling trip home. Jen and I thus headed to Pages, a locally-owned Manhattan Beach book store, to poke around for awhile. Stricken with ADD, I wandered around and around the tiny store, desperate for something to read and as equally indecisive in what I should select. 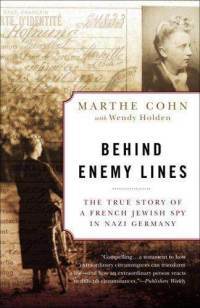 Finally, I circled closer and closer to Behind Enemy Lines: The True Story of a French Jewish Spy in Nazi Germany. While I pray that I never have to face a Holocaust in my lifetime, or endure anything remotely as horrific and challenging as a World War, I do sometimes wonder what I’m made of. If I were tested, how would I fare? Am I wily enough to outsmart and out-survive an enemy as depraved as the Nazis? When you sum up all my parts, would I be brave enough? Would my moral compass point true and North? Whether I’m weak or strong has yet to be tested such depths, but I nonetheless honor those who, throughout time, have stood up for what is right, no matter the cost.